Download and Print this Project Sheet Now - Only $ .99! 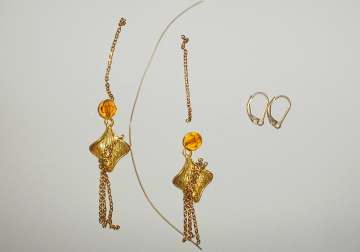 Use some gold filled earring components, shown here in a fan shape, to craft some eye-catching earrings. 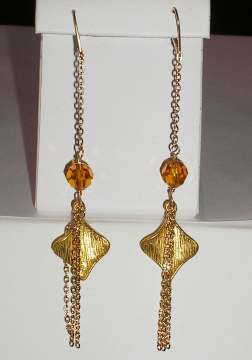 I used chain and topaz Swarovski crystals to accent these gold danglies. Fun to wear! 2 Swarovski crystal beads in your choice of colors, shapes and sizes. 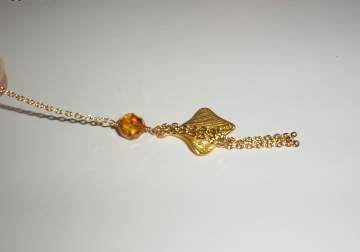 I used 8mm round topaz beads in my design. Add more crystals to your design if you like! 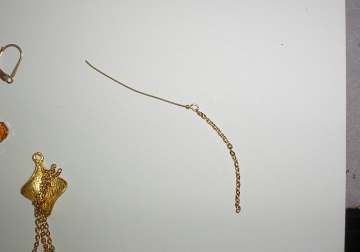 2 gold earring findings of choice - here I used a fan shaped component I found at my bead store--any component you like will do as long as it has a hole (for attaching). Decide how long you want your earrings to be. 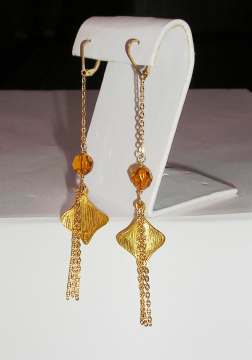 Cut six equal lengths of chain for the bottom "fringe" (3 chains on each earring), and two lengths for the top chain (1 per earring). TIP - You can add or remove chains to your own design until you are pleased with the overall design. You can also add smaller crystal beads to the bottom of each chain if you want more sparkle. Take a length of wire (a few inches) and make a wire loop. Attach the loop to the top chain, and make a closed wire loop. If you need help learning how to do wire loops, follow these step by step instructions. Slide the crystal bead on the wire, and at the bottom of the crystal, make a wire loop. 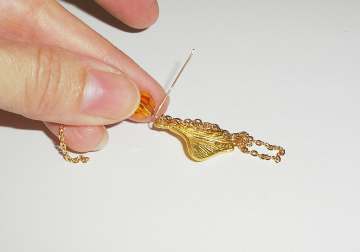 Slide three lengths of chain, and your fan earring component onto the loop, then close the loop. That's it! Enjoy your new swingy fun earrings! Start Your Own Home Jewelry Party Business Today! - Download it Now!